frangipane is essentially nut goo. nut goo: a nut paste that is enriched with butter, sugar, and eggs. that becomes soft cream to fill in pastries and tarts and things. frangipane tends to be almond, but goo can be made with any nut really. 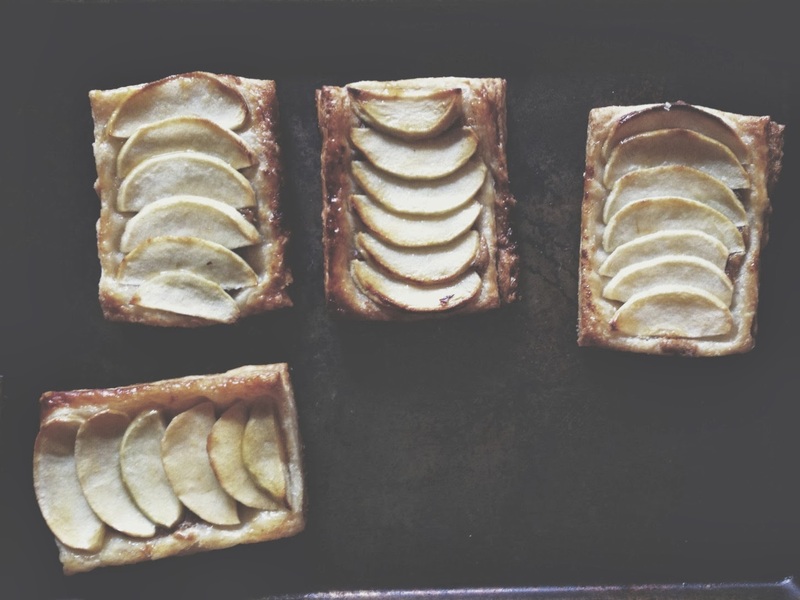 these tarts could be the easiest thing to happen to your thanksgiving. and the cutest. teehee. for the hazelnut frangipane: i mixed together half a can of hazelnut paste, a beaten egg, 2 tbsp melted butter, a couple tablespoons of sugar, a pinch of salt, and 2 tablespoons of flour. preheat oven to 400 degreesF. 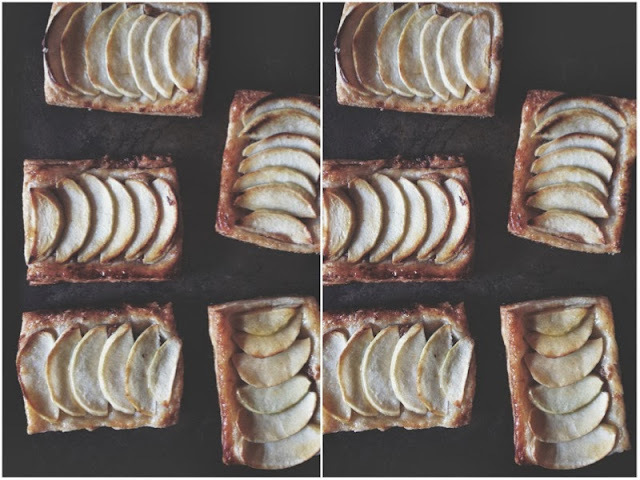 cut the pastry into 6 rectangles. prick with a fork in the centers. spread on a few dollops of the frangipane down the center of each tart. lay the apple slices along each one. sprinkle sugar over apples. bake until puffed and golden. 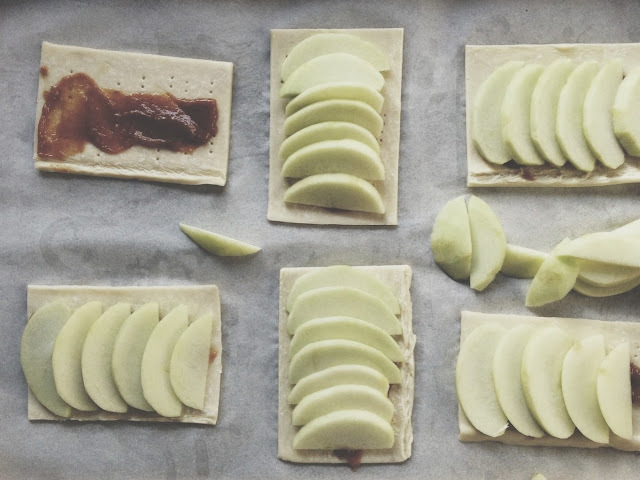 press a dollop of apricot jam through a strainer, brush the smooth jam on the apple tarts to give them a pretty glistening look.